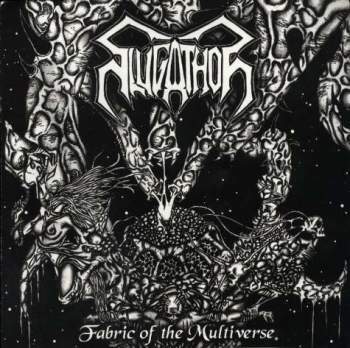 Slugathor have always played Death Metal, and always will. We started 7 years ago (in year of 1999), full of hatred and disgust towards trendy metal scene that had infected with melodick and technical so called "metal" bands. Total traditional Death Metal was our only answer against this trend. In the beginning our line-up was Tommi on guitars, Immu on drums, Tatte on bass and Nebiros doing vocals. With this young line-up we recorded our first Demo-releases, "Delicacies of the Cadaver" and "Fabric of the Multiverse" that were also re-released on 7"EP format by Perverted Taste from Germany. Our old line-up didn't last too long, though we played some gigs and spread our name in the ug. So after 2 years of slow and painful regressivity, Tommi and Immu decided to chance the vocalist and other members from the band. We soon found the right guy (to replace Nebiros) called Axu, who recorded a DEEPRED split-EP release with us and showed us all the potential of brutal evil old school- the way it was ment to be! Also a Bolt Thrower-cover version was slugathorized for this EP. We also soon hooked up with Antti from Deepred and about the same time Tuoppi said he could play the bass. 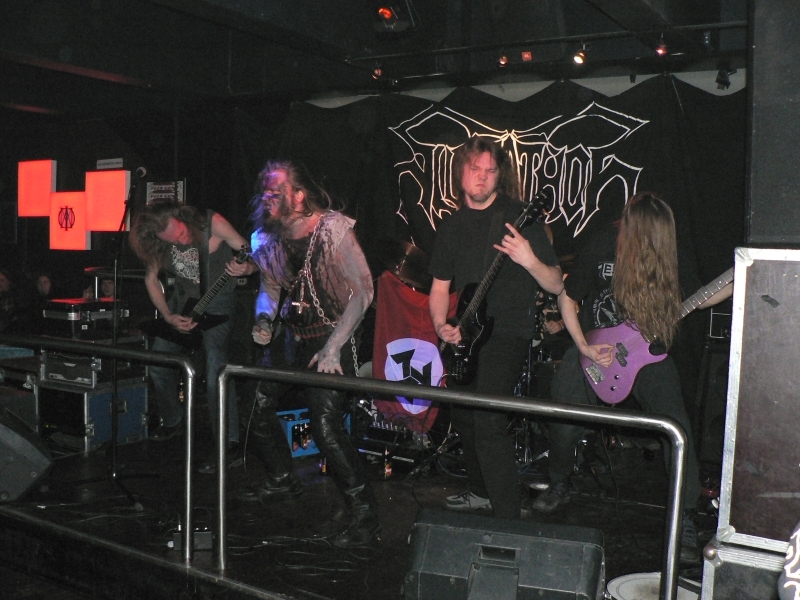 These guys were great addition to our band, and our live gigs, were (as always) full of chaos, metal and mayhem! With this line-up we recorded a promo CD in 2002,with 2 old re-recorded tracks and 2 new ones. The feedback was mostly positive and our name was known in the ug around the world. Meanwhile we also recorded a live show from Semifinal, Helsinki that was released on ug- tape format by Time before Time (limited to 333). Also Antti disapeared for a while, but returned later from the grave with a pulse from the beyond (bass). It was the time for Tuoppi, to start playing he's maininstrument, 6-string guitar. 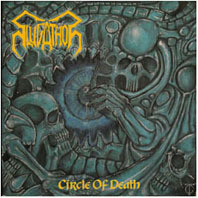 Polish label, Agonia Records released our debut CD "Unleashing the Slugathron" in the end of 2003. This album was also released on tape format by Northern Sound from Finland (limited to 333), and will be also released on LP (hopefully soon enough!) by Agonia. Another 3-song promo CD was recorded in 2004 with J.Loikas (who have been recording all of our previous works, except the first demo and Deepred-split). One of the songs was also released on selfreleased "Metal on Metal Finnish undergound Metal collection" CD together with some of the Finlands finest Thrash bands. In year 2005, Slugathor faced it's biggest tragedy, and we lost not just our guitar player since 2001, but also a great friend, Tuoppi, in a senseless and merciless kill. Our only choice was to tribute he's memory, in form of "Circle of Death". Slugathor have returned and founded a new bass player, Jarno (ex-Nerlich, Nowen) with 8-new songs, our next album will show how strong our vision of purity still is. This year will bring us also a several split releases, and more live torments. Hopefully some festival performances as well.